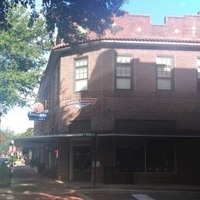 The Black Building, located at 101-121 West Plant Street in Winter Garden, Florida. 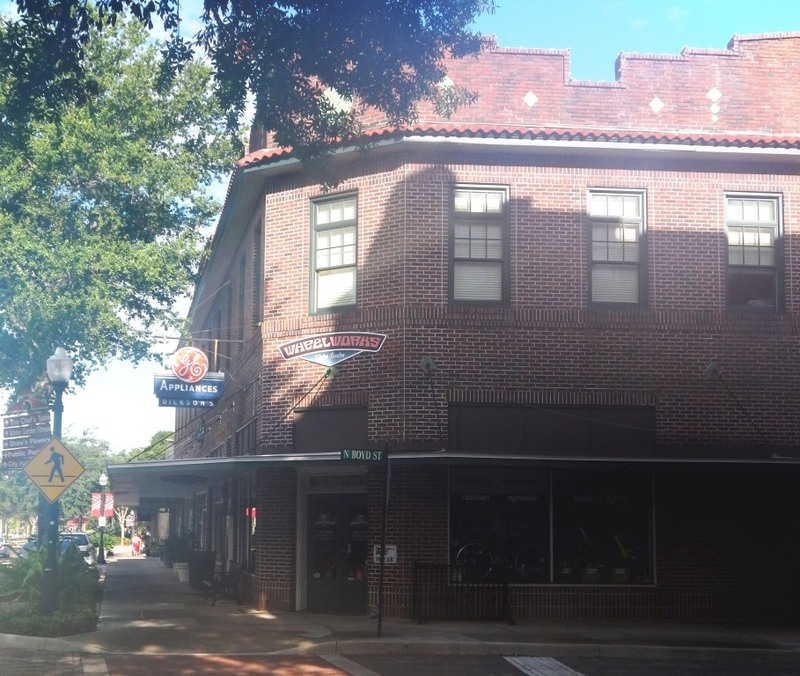 This two-story brick Masonry Vernacular commercial building was constructed in 1921 by a businessman and citrus grower from Clermont named Robert E. Black. It initially contained apartments on the second story and a series of stores on the first. Several physicians maintained offices on the second floor. As a result, it was often referred to as the Clinic Building. During the 1930s, the building accommodated the office of the Florida Public Service Company and the post office. Arnold's and later McCord's Feed Store occupied space on the first floor. Raymond Dickson operated a plumbing and electric business in this building for more than 25 years. The neon sign advertising his business is still present. Today, the building houses several local businesses. Bowers, Katherine. “Black Building.” RICHES of Central Florida accessed April 21, 2019, https://richesmi.cah.ucf.edu/omeka/items/show/4171.